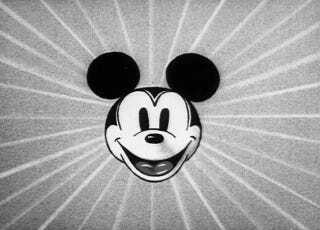 The Mouse’s face was on the room’s enormous gray wall screen. He could see the pores in the rodent’s nose. The black pupils were the size of pillows. “But what do you do? You just sit there?” Case shrugged, put the vodka on the cabinet and lit a Yeheyuan. And then the screen went blank. Special thanks to Evan Fowler for the creative impetus. Even more special apologies to William “Walt” Gibson. Almost all of “Mickey”’s additional dialogue is taken straight from the cartoons.